An oil base heavy texture covering creme in a variety of tones that has a dense opaque property that provides for heavy coverage. Used frequently in difficult cases where restorative work is required. Provides smooth natural coverage for less than perfect skin types or special need cases. Colors can be mixed and blended for added versatility. 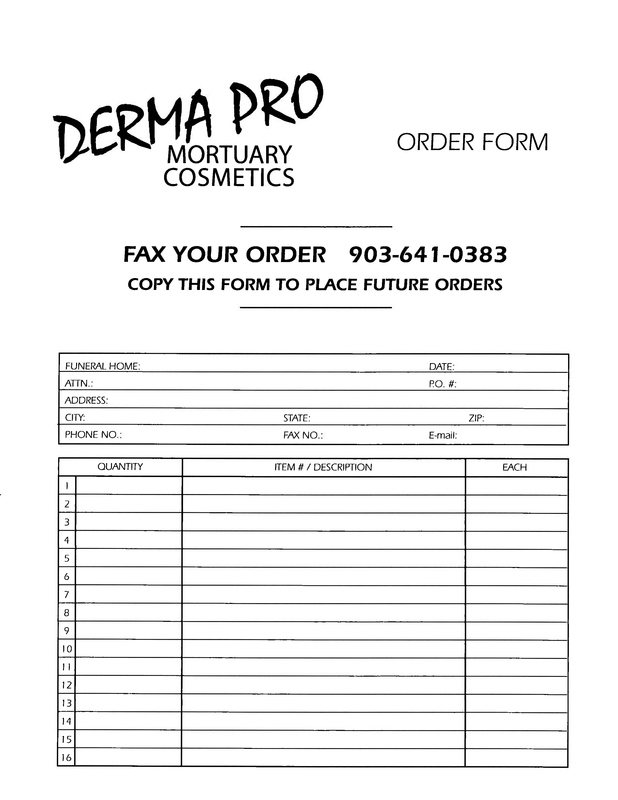 This entry was posted in Derma-Pro Products and tagged 06, mortuary cosmetics, quality. Bookmark the permalink.